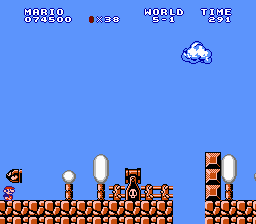 Holy crap,that is awesome,now THIS is a remastered Super Mario Bros. mod,plus have you givin' up on The Terminator mod? Thanks! And nah, I've just put it on the backburner. Ah I see,well Im glad to hear that,I hope you pick it back up after you are done with this amazing remaster mod. Are they just mock-ups or the real deal? roney33 I tried to stay as accurate as possible to the SNES version. Those sprites don't really fit. togemet2 : They are real. 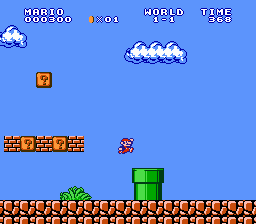 Will you be using an animated SMB sprite patch for this? It exists if you didn't know about it. Eden. GT Where is it? That'd be cool. Are you going to put these songs into the game? NES Boy : I might, if I can get someone to compose them in Famitracker. Will send a private message. 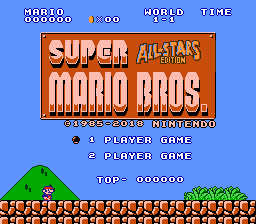 Can you expand the ROM so you can include Luigi sprites? I really liked your work, I pass this graphics you draw, I do not think they will serve you, but there you can rescue something Good luck! 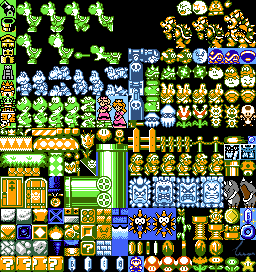 Hot damn,look at those beautiful sprites,dang Sics you are REALLY good at it,Im impressed,this'll help Pasthor alot! I have been dying for that to happen for years! Bowser needs a boss theme. The original was simple and expected for the time but absolutely if all possible this would be so awesome. Sics : Your sprites are incredible! 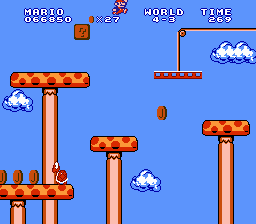 But the object of my hack is to make Super Mario Bros look as much like the SNES version as possible. RealGaea : I wouldn't know how to do that. But I could I would. Sephirous : I would need a bigger rom and someone to compose it in Famitracker. Ok, no problem. Keep this up! I'm still learning myself. 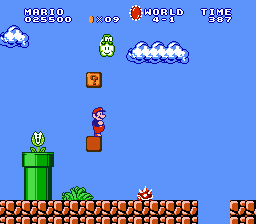 So one day, we'll have even a SMB3 with Luigi sprites. I'll PM you for the demo and a couple of things more.